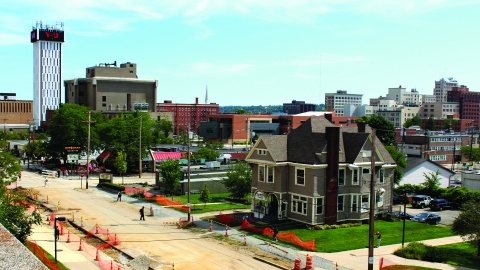 Students are not the only ones affected by the construction on a heavily-traveled road at Youngstown State University. Popular locations on Lincoln Avenue spoke out about how the campus construction has impacted their business. 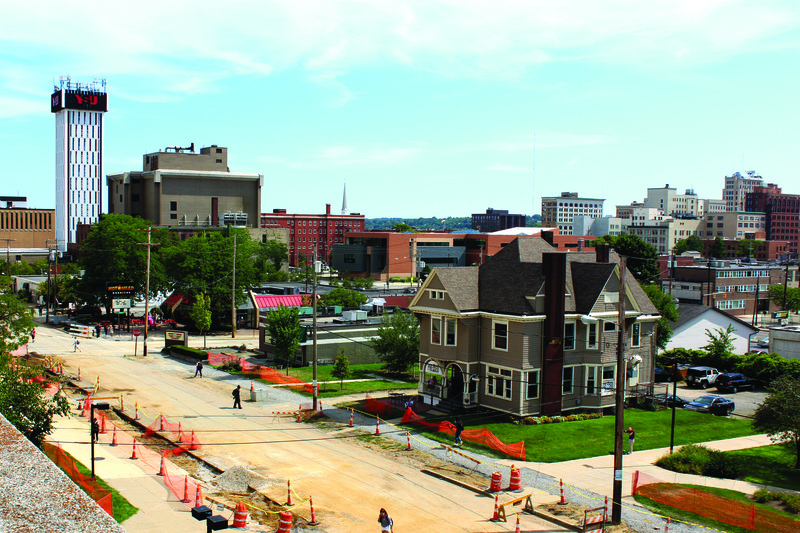 The construction on Lincoln Avenue began in July, limiting sidewalk and parking access to businesses on the street. John Kinney, manager of Hot Head Burritos, said business was slow before school began. Kinney said Hot Head Burritos made approximately $1,000 a day during that time, which is half of average sales in the summer. He said the decline in sales turned around once fall semester began. “Once school came back in session, sales from the time before quadrupled,” Kinney said. Sales at Hot Head Burritos were about 20 percent higher than the beginning of the semester last year, so Kinney said the construction hasn’t had a negative impact financially. Several other businesses on Lincoln Avenue also said the construction has not put a damper on sales. Matt Melito, manager of Pressed, said they have seen an increase in sales from last semester. Melito said Pressed may be unaffected by the construction, because customers can still access the cafe from Elm Street. A representative from Subway said sales have been down since the beginning of the semester. He said the biggest problem they have faced since construction started is parking, which may be turning customers away. Stephanie Means, store manager of Campus Book and Supply, said the sales and life outside of the store has not been noticeably affected by the construction. Jimmy John’s and Inner Circle Pizza requested not to comment. Although business at Hot Heads Burritos seems to be undamaged, Kinney said the construction should have been timed differently. Melito said the construction will have a positive impact on the city once completed.